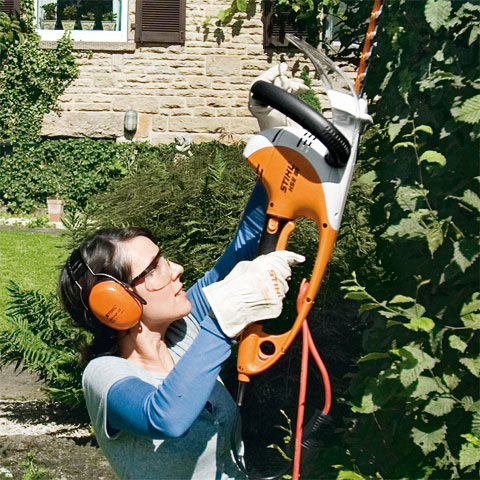 The top of the range electric hedge trimmer. 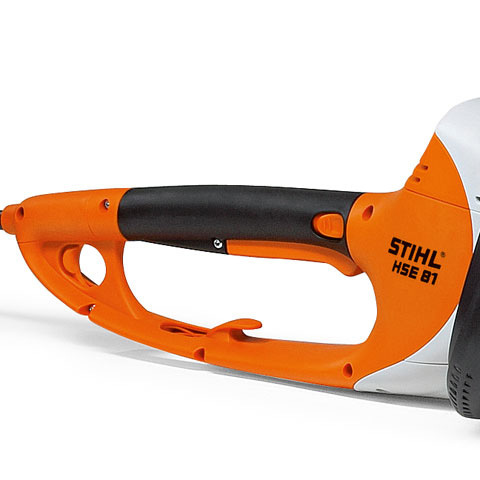 High powered 650 watt engine, 2-stage reduction gear with low stroke rate and high torque for thicker branches. 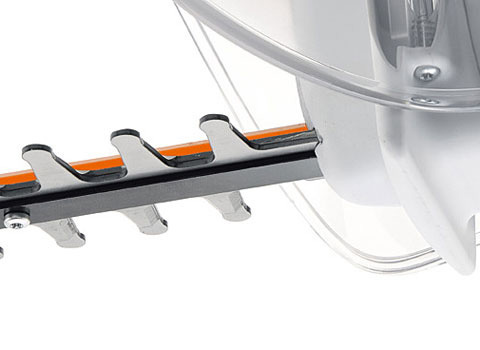 5-position rotary handle allows for flexible, comfortable cutting. Transparent hand guard. Extra blade length with dual ground, diamond-finished blade system. Large tooth spacing, ideal for thicker branches. High torque and quiet running performance.